Buttermilk Biscuits: buttery, flaky & slightly healthier biscuit using yogurt! 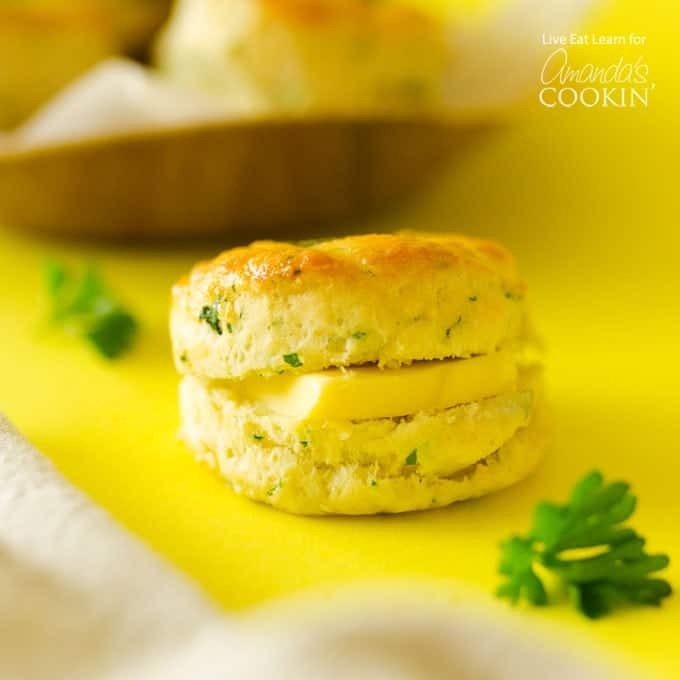 These herb buttermilk biscuits are flaky, buttery, and have so many layers! Everything you look for in homemade biscuits made slightly healthier and ultra-herbier. These biscuits would pair beautifully alongside this To Crockpot Roast Beef! Now that I live in the Netherlands, I’ve been trying to learn to cook the great American classics. You know, the classics you can really only get in America, like mile-high apple pie, fluffy pancakes, and flaky buttermilk biscuits. 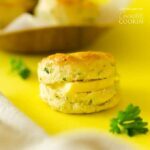 So with most of those options not being the healthiest choice, I thought I’d show you how to make slightly healthier homemade herb buttermilk biscuits by using Greek yogurt- that way you can still enjoy the delicious temptations of flaky, buttery, warm biscuits with a little less of the guilt. The secret to flaky, layered biscuits is in keeping everything really cold. By keeping the butter as cold as possible while forming the dough, it will flatten into many thin layers as you flatten out the dough, fold it in half, then flatten it out again. These layers of butter will help the dough fluff up into buttery, golden layers while baking! Oh, and did I mention the gorgeous herb laminating that’s going on? This is totally optional (but you should definitely try it out). We’ll basically blanch some fresh herbs in boiling water for 3 seconds and throw them in an ice bath. Then we’ll lay them onto the top of each biscuit, brush with egg, and cook. 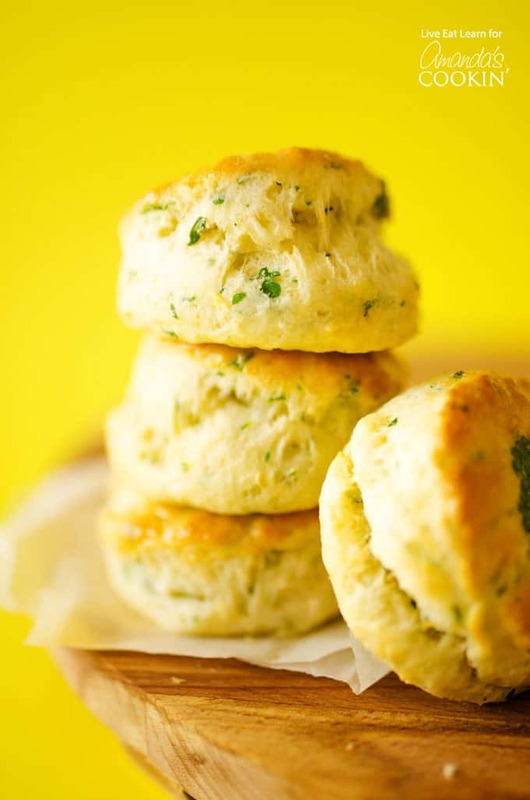 Enjoy your slightly healthier Herb Buttermilk Biscuits! Go ahead. Treat yourself. Roasted Turkey – perfect for a holiday or just any day you crave juicy turkey dinner. Mississippi Pot Roast – this classic crockpot recipe gets amazing flavor from pepperoncinis! Roasted Chicken – much like it’s turkey counterpart, a juicy delicious weeknight dinner. Some sides to consider are these Crockpot Mashed Potatoes, our Roasted Asparagus and these delicious Crockpot Balsamic Carrots. These herby yogurt and Buttermilk Biscuits are flaky, buttery, and have so many layers! Everything you look for in biscuits made slightly healthier and ultra-herbier. With a pastry cutter or two forks, cut the butter into the flour mixture until butter is crumbly and mixed through, about the size of peas. Stir to combine buttermilk, yogurt, and chopped herbs, then add to the flour/butter mixture. Stir just until combined (do not overstir). Set dough onto a well-floured surface. Pat (don’t roll) dough out to about an inch thick, then fold in half or into thirds. Repeat this process, patting out and folding, 3 to 4 times, flouring as much as you need to keep dough from sticking. Pat dough to be about ½ to ¾ inches thick. Use a biscuit cutter to cut out about 12 biscuits. Re-shape remaining dough to make a few more biscuits. Set biscuits on a parchment paper-lined baking sheet (far apart for crispy sides, close together for soft sides) and set in the fridge while you prepare the herb laminate (optional, can just straight to baking now if you want). Bring a small pot of water to a boil and prepare a small bowl of ice water. Get a few big leaves of herbs, removing the leaves from the stems. One at a time, throw the leaves in the boiling water for 3 seconds then immediately into the ice water. Set blanched herbs flat on a paper towel*. Cover with a few more paper towels and set a heavy pan on top. Let dry and flatten for 5 minutes. 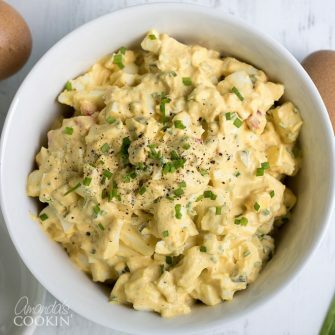 Brush biscuits with whisked egg. 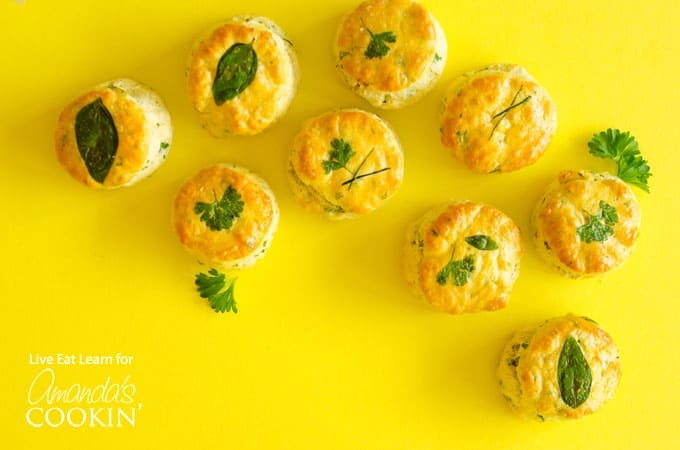 Place a blanched herb onto each biscuit, and brush with a bit more egg. Bake at 450 degrees F for 10 to 12 minutes, or until biscuits are golden. *If you flatten the herb onto your finger in the ice water then transfer it to the paper towel it’s much easier! This post was originally published on this blog on Jun 9, 2017. Hi, I am Ed just tried your recipe and changed it just a little I used nonfat powdered milk with powdered buttermilk then added the yogurt and enough water till the dough formed. I also let the dough rest between folding in the frig to keep it cold. They cam out great flavor wise and flaky perfection. Maybe even a little leaner. Thanks for the inspiration. Awesome, so glad you liked them!